Michiel Delanghe (1987) got his masters degree at the Royal Conservatory of Antwerp (Belgium), where he studied orchestral conducting with Ivo Venkov and Koen Kessels. In December 2013 he won third prize and Special Award in the 11th Cadaques Orchestra International Conducting Competition. It was the first time a special award was given in the history of the competition. During his studies he conducted several concerts with the symphony orchestra from the Royal Conservatory of Antwerp and with the Ensemble XXI. Also, he served as an assistant-conductor in the Flemish Opera where he assisted conductors such as Patrick Fournillier (Turandot), Yannis Pouspourikas (Candide) and Jef Smits (Aladino e la lampada Magica). He actively participated in masterclasses with Robin Engelen and “het collectief”, with Ivo Venkov and the “Philharmonic Orchestra of Russe-Bulgaria”, with Mark Heron and the Manchester Camerata and with Peter Eötvös and the “Orchestre Philharmonique de Radio France”. In July of 2014 Michiel made his professional debut with the Orquesta Sinfónica de Castilla y León in a program of Mozart and Beethoven. Since then, he has been invited to conduct the Barcelona Symphony Orchestra, the Youth Orchestra of Girona and the Orchestre National de Lille where he has been re-invited. He assisted amongst others the conductors Christian Arming at the Royal Philharmonic Orchestra of Liège (Schubert 9th Symphony), Antony Hermus at Opéra de Rennes (FR) for Mozarts La finta giardiniera and Koen Kessels at the Flanders Opera in Satyagraha (Philip Glass). Shortly he will assist Eric Withacre at the Brussels Philharmonic and Flemish Radio Choir. - The creation of Zwanemans, a major successful revisited interpretation of Richard Wagner's LOHENGRIN, for young audiences, that was made possible by a co-production between "Het PALEIS", "Opera-Ballet-Flanders" and "IOA" the International Opera Academy of Ghent. - His debut with three major Belgian Orchestras amongst which the Antwerp Symphony Orchestra ; the Belgian National Orchestra and the Brussels Philharmonic & Flemish Radio Choir, with the latter he conducted a cd-recording of Carmen Amoris by the Belgian composer Jan Van der Roost. Reinviations and projects will take him to the Antwerp Symphony Orchestra, the Belgian National Orchestra and the Brussels Philharmonic. The Flanders Opera invited him together with his ensemble "deCompagnie", to create BANKET ! again a most exciting revisited opera adventure this time after Verdi's MACBETH (creation in 2019 at Flanders Opera Ghent followed by a revival at Theater ‘t Eilandje in Antwerp. 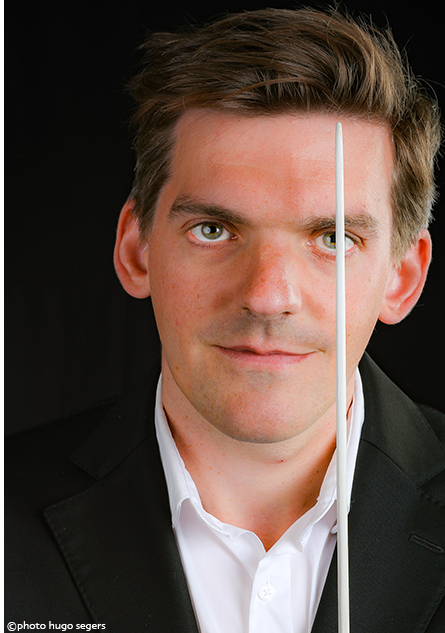 In September 2017 Michiel was appointed guest professor in the conducting departement of the Royal Conservatory of Antwerp. Aside from teaching, he will conducted several projects, including the 2017 Galaconcert with Frank Braley as a soloist. For this season he was asked to conduct the main symphonic project, namely Antonin Dvorak's 9th Symphony "From the new world" at the Singel's Blue Hall and the staged opera production of "Albert Herring" by Benjamin Britten at the Singel's Black Hall.